So Wednesday was another sugar filled day. 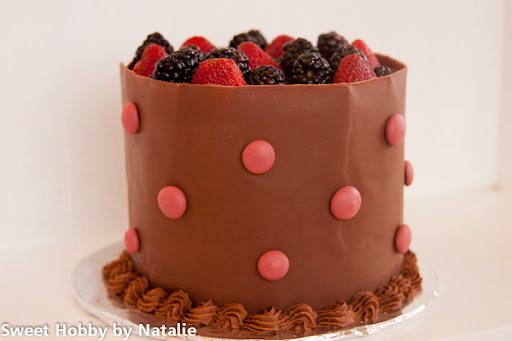 I saw this cake a couple of weeks ago on the Partiologist site and I really want to try to do it. So I searched how to cover a cake with a sheet of chocolate and then had to wait a week and half to make it. Why well because I needed to have a reason to make it and so Wednesday is when my friends were coming over to watch Vampire Diaries. We use to get together weekly to watch but it was off air for a month and then their were some scheduling conflicts but we got together last night to catch up on the last two episodes. Perfect for me to make this cake and to share it with my girl friends. It was yummy! 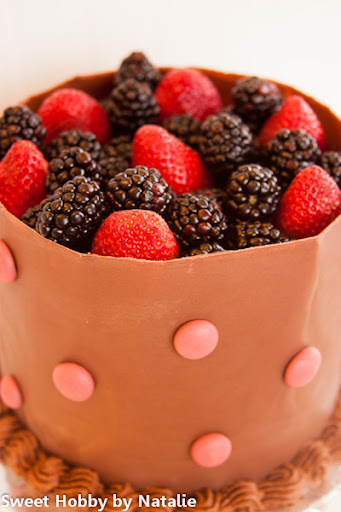 Chocolate and berries so good together! Tuesday night my friend called me and asked if I could make 10 cookies for a presentation she had to do because she is running for Student Body President at the college she is attending. She is representing the fine arts program and so on the limited time 24 hours this is what I came up with. 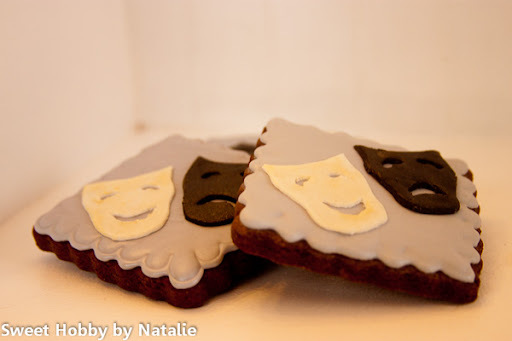 Would have been easing to make royal icing transfers of the masks but did not have enough time to let them dry so I used gum paste and fondant. Sure wish I would have had a cutter for the mask but just did it by hand, not the best work but she was happy with them. So that is what I did on Wednesday what did you do?